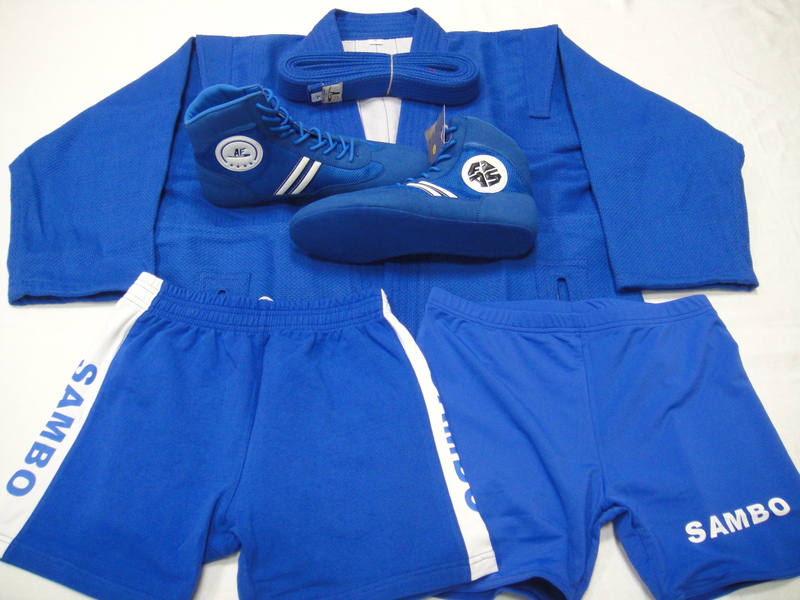 Single Sambo uniform Set includes 4 items: 1 X jacket, 1 X Inside Elastic Shorts, 1 X Sambo Shorts, and 1 X Sambo Shoes. This single set is in Blue Color. Please select either Youth size or Adult size.